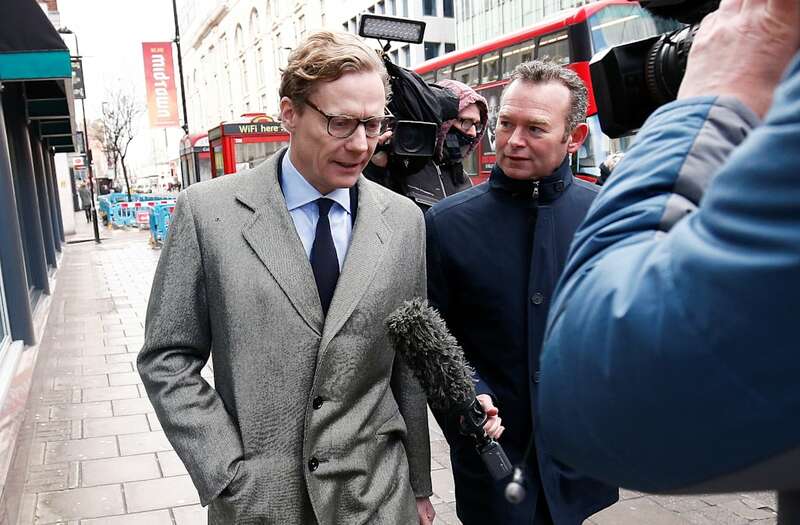 Cambridge Analytica, the British political research group linked to President Donald Trump’s campaign, suspended CEO Alexander Nix on Tuesday after British media revealed a series of alarming comments the company’s executives had made about techniques it used to sway international elections. In an investigation by Britain’s Channel 4 News published Monday, Nix was recorded bragging that his company had managed to influence more than 200 elections around the world. In a statement, the company said Nix’s suspension “reflects the seriousness with which we view” his comments. Alexander Tayler, the company’s chief data officer, will step in for Nix while the company launches an investigation. The company is currently under fire on both sides of the Atlantic for possibly misusing Facebook users’ personal data. Facebook acknowledged Friday in a statement that it had suspended Cambridge Analytica as it continued to investigate how the firm might have violated users’ privacy. The following morning, The New York Times and The Observer of London published a bombshell joint investigation into the group’s practices. The outlets alleged, through whistleblower Christopher Wylie ― who helped found Cambridge Analytica ― that the company harvested personal data from more than 50 million Facebook users for political purposes. Reporter: “So the candidate is the puppet?" “They want to fight a culture war in America,” Wylie told the Times, referring to Cambridge Analytica’s leadership. Trump’s campaign paid millions of dollars to Cambridge Analytica, which was founded by Trump donor Robert Mercer and once included Steve Bannon on its board. In a new Channel 4 report published Tuesday, executives told an undercover reporter that they “ran all the digital campaign, the television campaign and our data informed all the strategy” for Trump. The company has also been linked to the Brexit vote in support of the “Leave” campaign. Cambridge Analytica has denied any wrongdoing and says it presently conforms to all of Facebook’s privacy policies. Both U.S. and European officials, however, are demanding a full explanation. Facebook hired auditors to look into the scandal, but on Monday the U.K.’s Information Commissioner’s Office announced it would instead conduct its own investigation. Antonio Tajani, president of the European Parliament, said the European Union will also investigate potential privacy violations. In the U.S., a bipartisan group of lawmakers is petitioning Facebook CEO Mark Zuckerberg for a complete explanation and proposed solutions. Cambridge Analytica managed to obtain information on so many Facebook users thanks to Aleksandr Kogan, a Cambridge University academic. Kogan developed an app called “thisisyourdigitallife” that users voluntarily downloaded with the understanding their data would be used to help psychologists doing research. But the app also collected data from those users’ Facebook friends, who may not have known their information was being collected. While the app conformed to Facebook’s privacy rules at the time, Kogan violated a rule by providing the data he harvested to Cambridge Analytica. Facebook shut down the app when it discovered the privacy violation, but failed to confirm at the time that Cambridge had deleted all of its ill-gotten data.